Almond Milk Pink (Hippo Milk): When it comes to Easter, I like to take full advantage of the bright holiday colours palette, and to be honest, I like any excuse to make a drink pink. Get the pink milk recipe here. Vegan Protein Pancakes | Gluten Free Pancakes: These protein puppies will keep you motoring through the day. The base of these vegan protein pancakes are the Bob’s Red Mill Paleo pancake mix. This stuff makes fluffy, grain-free pancakes using almond flour, coconut flour, and simple root starches. You can use just the base as the batter or add Bob’s Red Mill Vanilla Nutritional Booster for protein. Get the Pancake recipe here. Vegan Cheese Danish: This Vegan Guide to the Galaxy’s danish recipe is deadly. The prep time and cook time are only 15 minutes, so you can whip these up in 30 minutes. Briggitte Dix’s recipe makes a plentiful dozen. 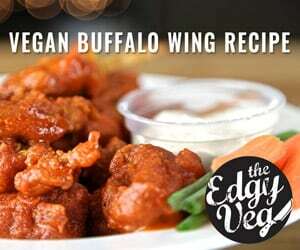 The key ingredients here are vegan cream cheese and crescent rolls. Vegan Peanut Butter and Jelly French Toast: Here is a little fun fact for you, French Toast actually goes by many names. It’s also called German Toast, Gypsy Toast, Poor Knights, and Spanish Toast. This quick and easy vegan breakfast recipe is a fun twist on traditional French Toast, and a drool-worthy contender for a vegan, egg-free Sunday Brunch. You are going to need some tofu and nutritional yeast for these bad boys. Get this recipe here. Vegan Egg Salad Sandwich: This tofu “egg” salad is super easy and takes only a few minutes to prepare. This is the perfect tofu egg salad sandwich recipe using easy ingredients you can find anywhere. I tested it on all my friends and they couldn’t believe it wasn’t eggs! You are going to want some vegan mayo for this one. Healthy Carrot Cake Bites: Vegannie’s unique cake bite recipe is so scrumptious looking and such a fun twist on carrot cake! Besides being vegan, they are also gluten-free, low-carb, oil free and sugar free, so they are a healthy option to snack on. This recipe uses coconut flakes and coconut flour. Vegan Chocolate Truffles Gluten Free: These easy vegan and gluten free truffles are decadent and heavenly and use just 2 ingredients. They couldn’t be easier to make and they are a great base for many different variations. You will need vegan dark chocolate chips to make this recipe, which you can find here. No Bake Energy Balls | Birthday Cake Protein Bites: The base of any good No-Bake Energy Ball is oatmeal, nut butter, and dates and/or agave. You can mix in literally anything else you want to suit your tastebuds. This recipe is one you will end up using year round, I can guarantee! Vegan Lemon Poppy Seed Loaf: This heaven recipe by It Doesn’t Taste Like Chicken stands up to any coffee shop’s lemon poppy seed loaf, but it’s even better because it’s vegan! Vegan lemon poppy seed loaf is here for guilt free indulging. You will need whole wheat flour for this one. Vegan Cadbury Creme Eggs: This Vegan Cadbury Creme Eggs recipe puts the regular store bought ones to shame. Warning though, theses chocolate coated goodies have been known to disappear at an alarming rate. Make sure to take one for yourself before they are gone. Vegan shortening is an essential ingredient for this treat. Vegan Hot Cross Buns: This recipe by Gwen over at Delightful Adventures is one for the records. You won’t miss the traditional ones with these vegan hot cross buns. You will need organic powdered sugar for the icing. Try them here. Vegan Avantgarde Easter Chocolate Eggs: When Sweet Becomes Healthy’s avantgarde chocolate eggs recipe offers you two choices for fillings. Choose between strawberry creme filling or the double chocolate option. You will need ample amounts of vegan dark chocolate. 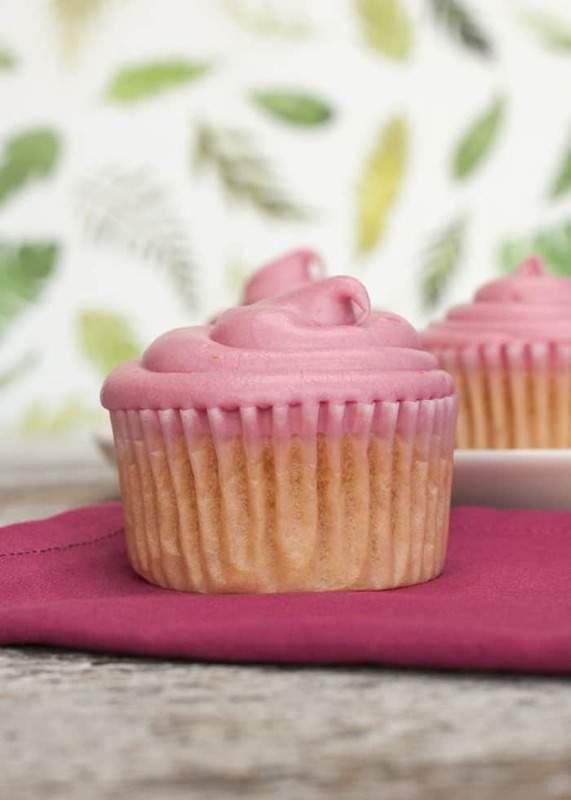 Pink Vanilla Cupcakes | Vegan Cupcakes Recipe: These Pink Cupcakes are quick to make and use the traditional golden vegan cupcake mix. Make healthy red and pink food colouring using beets! It’s the easiest way to make food colouring at home. The key base ingredient here is unbleached all purpose flour, which you can scoop here. Vegan Teacakes: These Easter Marshmallow Chocolate Treats by The Sasha Diaries of the UK make a serious recipe to contend. As Sasha puts it, “nothing can divide Britain quite like a baking show.” If you have got some bake battling to do, I recommend this recipe. Aquafaba is a key ingredient for these sweetie for getting the marshmallow texture. Decadent Coconut Lime Cake or Cupcakes: How to make a decadent vegan coconut lime cake and decorate it like the pros. The easy vegan cake and rich vegan buttercream frosting recipe takes just a few minutes to make and are lick the spoon delicious! Some key ingredients you will need are almond milk, coconut milk, baking soda, baking powder and unbleached flour for the base. Vegan Key Lime Pie: Yummy Mummy Kitchen’s techniques are out of this world. It’s deceivingly healthy with avocados and cashews used as the base. You will also need lots of vegan butter! It’s a method to key lime pie like no other and is so worthy of worship. Try it here. Carrot Cake with Vegan Cream Cheese Frosting: This vegan carrot cake recipe is so delicious that even the Easter bunny himself would have a hard time resisting. This combination of healthy cake ingredients and decadent cream cheese frosting makes for an unforgettable carrot cake that is far more than just an Easter treat. Don’t forget your vanilla extract for this one! Vanilla Fudge Chocolate Eggs: These vegan goodies by My Goodness Kitchen are so incredibly delicious, you might be tempted to eat them all to yourself. Rest assured, they are highly sharable for your friends and loved ones in portion controlled sizes. Make sure you are well stocked with coconut butter and cashew butter before starting. This vanilla fudge chocolate eggs recipe will rock your world, so give them a whirl! Thanks so much Mary! I will add vegan meatloaf to the list of recipes to make! I am so happy to inspire fellow vegans to save the lives of animals! Let’s keep spreading the message.